Even if we live as urban creatures, our urge to get out of the city—to camp out, to go on a hike in fact, can always seize our imagination at any time. But almost all the time it seems a bit daunting to find the necessary gear and not knowing how the preparations need to be done, the whole expectation ends up in a feeling of despair. The ultimate essential for beginner campers and hikers is, of course, an experienced outdoorsy person to guide them. We; undergrads of Faculty of Science were indeed lucky enough to have a great personality to teach and guide us not only to become good hikers or camper but also to become green pathers who love and appreciate nature. Under the guidance of Prof. Nihal P. Dayawansa, Base for Enthusiasts of Environment Science and Zoology (BEEZ) embarked on a new milestone as they initiated “BEEZ Explorers”, a part of BEEZ. 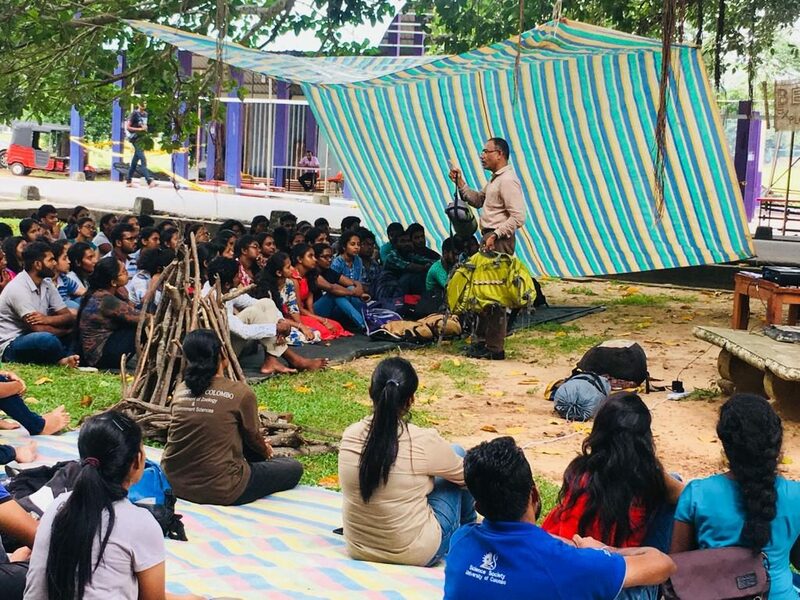 It is the first ever explorers club initiated in Faculty of Science of University of Colombo. 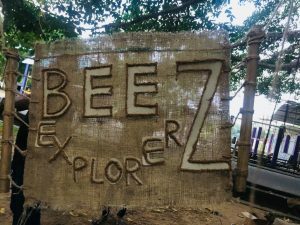 A very thrilling session with exaggerations and awesome realities in equal measures marked the humble beginning of BEEZ Explorers. 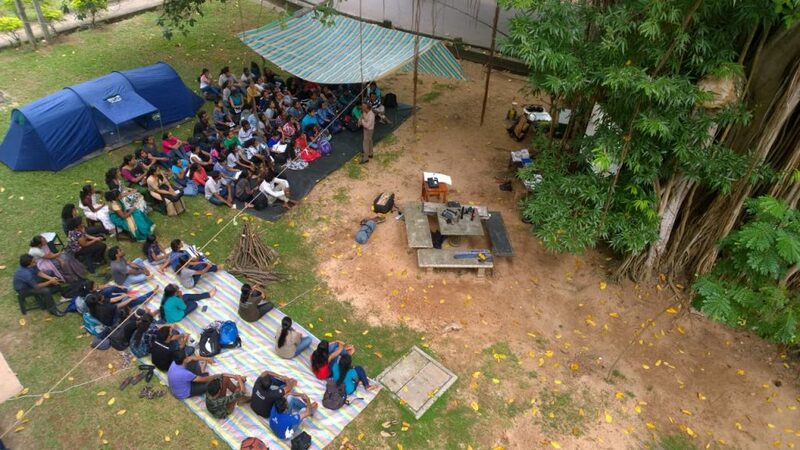 The Nuga tree (Banyan tree) area in front of the Department of Zoology and Environment Sciences looked more like a camping ground, full of gear and equipment to share, then simply jump ahead to a handy, printed checklist of camping essentials and camping basics were provided to each participant. Camping in the great outdoors is a soul-nourishing experience. But it wouldn’t be that great if the campers do not know the basics of camping. A clear outline was given to the participants on essential camping gear, what to wear when camping, camp toiletries, meal planning for camping and best places to go on camping. The best part of the evening was the practice session of setting up a tent and folding it again. It was a wonderful experience for many who have never even seen a camping tent and they enjoyed it to the fullest. 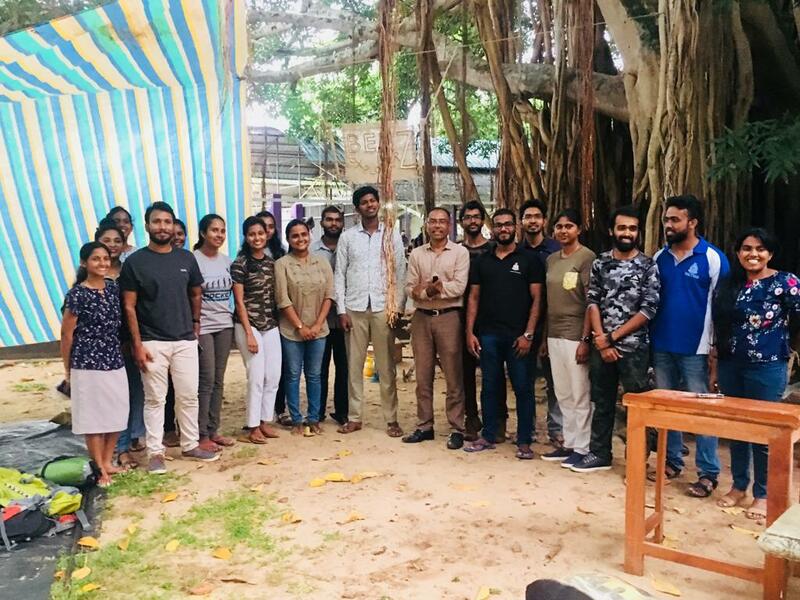 On a final note Prof. Dayawansa insisted that all of these should be done not only for pleasure but also for the conservation of our environment. Opportunities for camping, challenging hikes, trekking and pleasant strolls are scattered around us. You just need to know where to find them. So lace up your boots and take the journey with BEEZ Explorers! Let’s explore together !